Sudan may not be a high profile tourist destination, thanks to its history of political unrest. 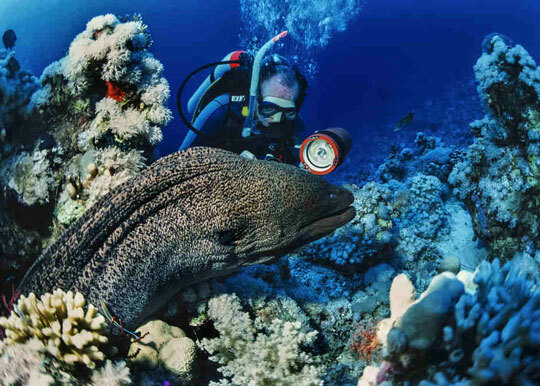 However, scuba diving tourism is very much on the rise as word spreads of beautiful, colourful, pristine reefs, healthy shark populations, uncrowded dive sites, unforgettable wrecks and big schools of fish. Liveaboard trips either depart from Port Sudan or from the Egypt's Port Ghalib, so it is in fact an easy-to-get-to destination. 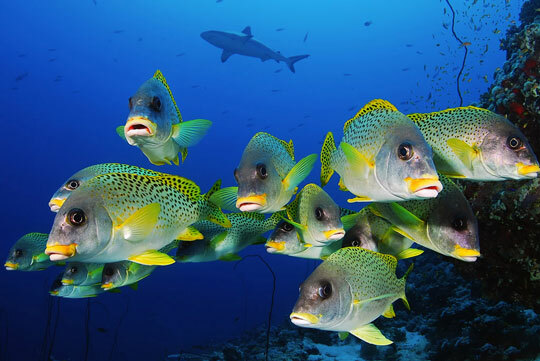 Most dives promise delightful coral gardens and schools of fish. Some also feature interesting topography like vaulting coral pinnacles, steep and deep drop-offs or fascinating caves. 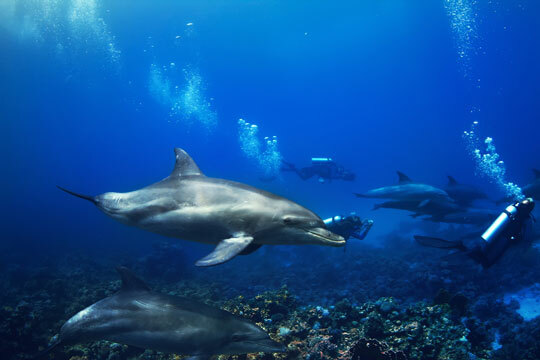 Add to that a variety of sharks, barracuda and manta rays, sometimes in wonderful visibility and you can begin to appreciate the natural wonder of Sudan. 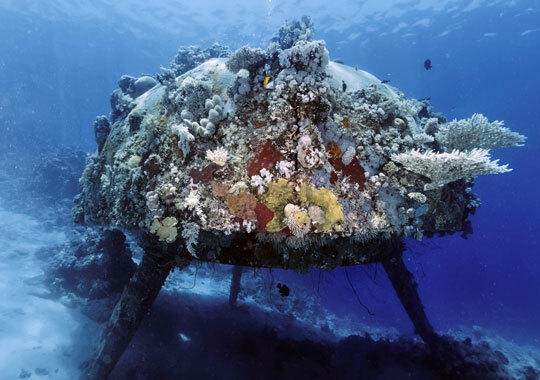 Man too has had a role to play in making Sudan a fascinating liveaboard destination as a number of amazing wrecks litter the sea bed. Famous dives like the Umbria Wreck, Toyota Wreck and Cousteau's Conshelf II are quite simply unique and unforgettable. 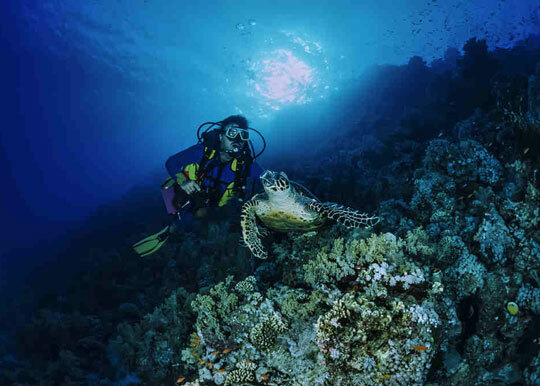 If you have been to the Egyptian Red Sea before and are looking for something new, or if you simply want to sample the very best of what the Red Sea has to offer, then joining a Sudan diving cruise could be the best decision you make. Initially you will be on the look-out for sharks which often involves a little excursion into the blue. 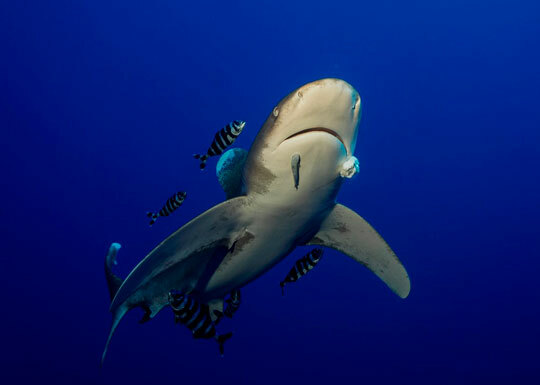 The dive site's name means 'Mother of Sharks' so it is little surprise that hammerheads and tiger sharks are commonly seen here, as are silvertips and grey reef sharks. Additionally there is good schooling action at Angarosh featuring the likes of barracuda, bluefin tuna and yellowfin trevally. The often excellent visibility present when seeing the schools allows for some awesome photography. After drinking in the action of the blue you can slowly ascend and be entertained by the vibrant reef. 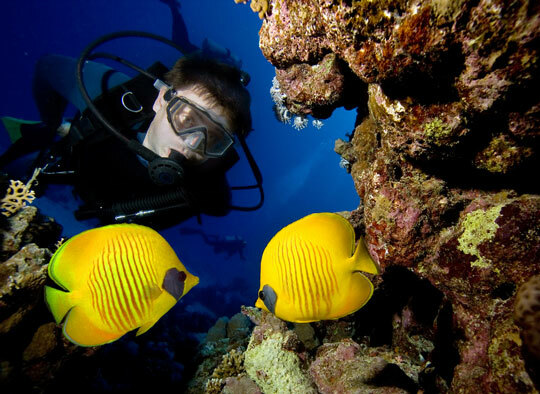 Beautiful soft corals and innumerable reef fish will keep you occupied until the end of your safety stop on this dive which combines depth, big fish action and pretty picturesque reef, all in one. A series of underwater habitats were constructed and anchored to the reef in a sort of submerged village, named Conshelf II. In 1963, 5 oceanauts (and a parrot) lived there for a month as immortalised in the documentary 'World Without Sun'. Medical discoveries included that hair grew more slowly and wounds healed more quickly than at the surface. They also learned about new behaviour patterns of marine species as well as discovering a few new to science by exploring the area in a submersible. The main building, the Starfish House, had a central hub with 4 arms that radiated outwards. Electricity, air-conditioning, fresh water and television were all available. Cousteau even brought champagne down to celebrate his 26th wedding anniversary although it wouldn't bubble under the increased pressure. After 26 years it is no surprise there was a lack of fizz. Remains of this Sudanese underwater village litter the sea floor. The hanger for the submersible, some shark cages and a tool shed are the only things still intact. 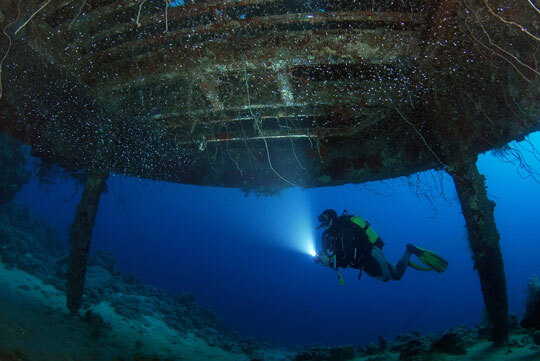 Only experienced wreck divers should explore the confined spaces of the structure. 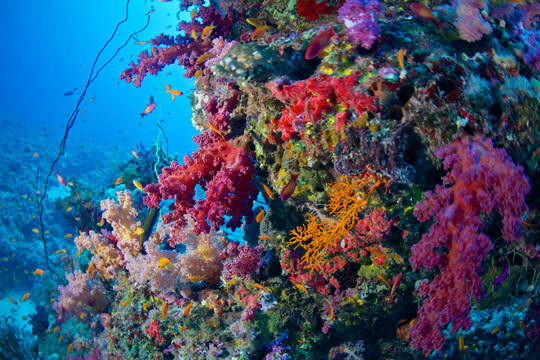 The surroundings are a pretty coral garden with plenty of soft corals and reef fish. 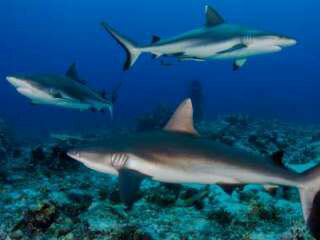 Shark species at 'Sha'ab Rumi Reef', to give it its local name, include grey reef sharks, silky sharks and silvertips. During the November to April period this is one of the best places to see hammerhead sharks. Rising from the depths of the sea, Sanganeb Reef is something of a hotspot for nutrient-rich upwellings that beckon all the marine life from the surrounding area. 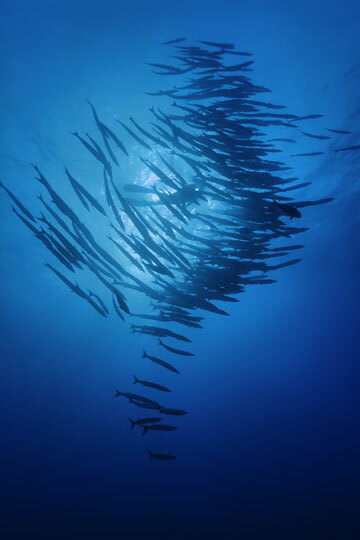 Large schools of barracuda, jacks and snappers are regularly seen. Sharks you might spot include whitetips and grey reef sharks and, if you are lucky, hammerheads can be seen in deeper sections of the blue. Back on the reef, the walls and plateaus are the very model of coral health. Vibrant and robust table corals and soft corals are blanketed by hundreds of anthias and fairy basslets colourfully fluttering hither and thither. Black corals host many examples of the curious long-nosed hawkfish. 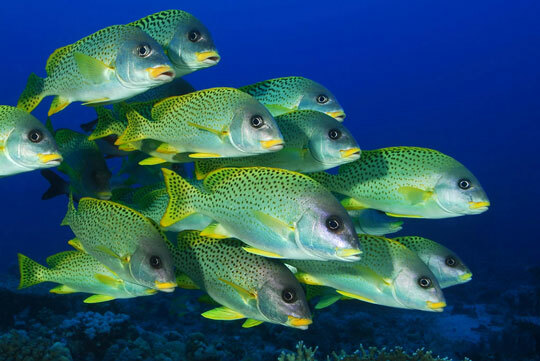 The occasional Napoleon wrasse and humphead parrotfish might also cruise by. You may notice that the sharks appear more curious than normal. This is because they used to be fed here and, although they apparently are no more, they still behave with an air of expectation. Therefore the picture of this dive site is quite unique. The wreck lies upside down on an incline from 20m to a maximum of about 36m with vehicles scattered all around the slope. You can penetrate the hull and swim the full length of the ship emerging near the bow which is a fun swimthrough, even if there is not a huge amount to see inside. It is the cargo rather than the fish life that makes this a unique dive site. Finning around the edge of the wreck you can see the trucks and cars which are becoming consumed by the sea. Some look like living, flourishing reefs whose manufactured identity is betrayed only by a jutting tyre or sponge-encrusted steering wheel. 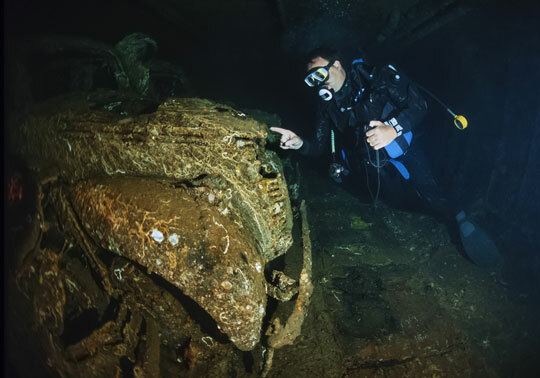 Others are clearly big hulking metal vehicles most treasured by some divers for the resultant comedic photographs of them sitting in the driver's seat, although this is not for the faint-hearted as you need to remove your BCD. The place resembles a flooded wrecker's yard and a fascinating juxtaposition of nature and industry. Lying in shallow water with a maximum depth of 35m and a minimum of only 5m, The Umbria has become completely "marinated" and you have plenty of bottom time in which to explore. 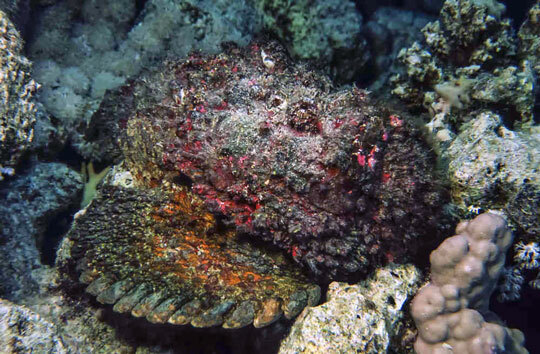 It is bejewelled with encrusting algae, sponges, corals and featherstars. 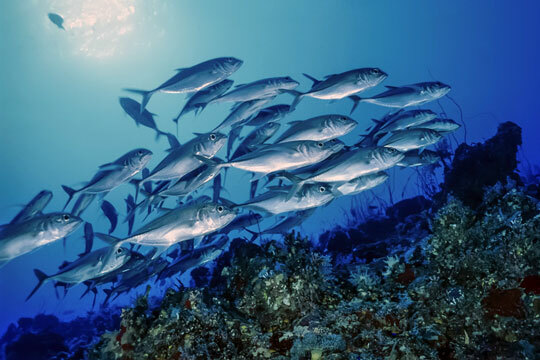 Marine life that call The Umbria home include innumerable cleaner shrimps, a large school of snappers, circling spiney fish, butterflyfish and barracudas. 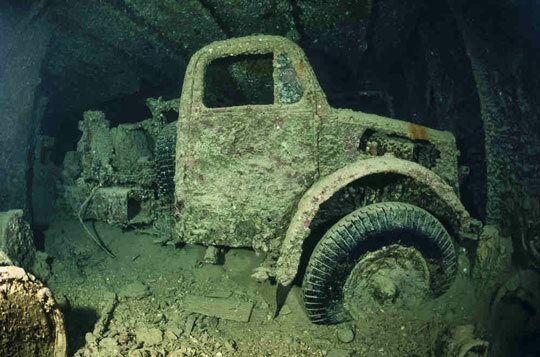 Reputedly the ship sank with some 350,000 bombs on board and you can see stacks of them in the hold, but it is the cargo of trucks that many scuba divers find most interesting and reminiscent of the Thistlegorm to which the Umbria is often compared. At a length of 150m, you can get a good look around on a single dive, however there is plenty of scope for multiple investigations. Visibility varies between 10 and 20m here. It is however, bathed in light, particularly in the shallower sections where the sun rays stream through the open windows of the stern. With large openings along the deck and plenty of light it is an easy wreck to penetrate. 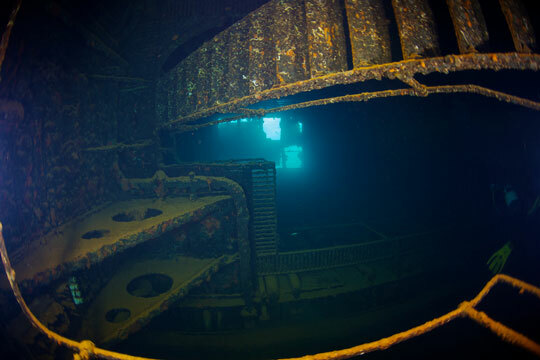 More experienced wreck divers can access the entirety of the ship including the engine room and bakery. 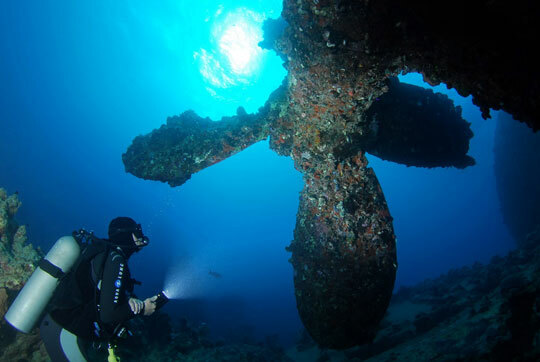 For all levels of diver the Umbria Wreck is a fascinating and beautiful experience. 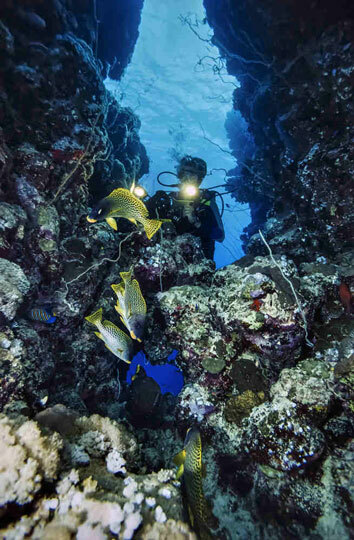 The best dive sites in the Sudanese section of the Red Sea are spread out over quite a large area. Realistically a Sudan liveaboard is the only way to fully appreciate the wonder of this intrepid destination. For more information on the cruise options and all the other travel information you might need to visit Sudan, see our Sudan liveaboard section. Trips either depart from Port Sudan or from Port Ghaleb in Egypt. Normally those from Port Sudan are shorter itineraries of 7 to 10 nights while those that leave from Egypt may be 13 nights. 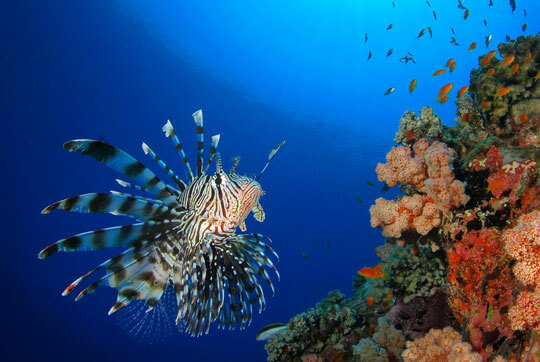 These trips also visit some of the dive sites on the Egyptian side of the marine border. Liveaboard diving safaris in Sudan run from October to July, and the conditions do differ from time to time throughout the year. 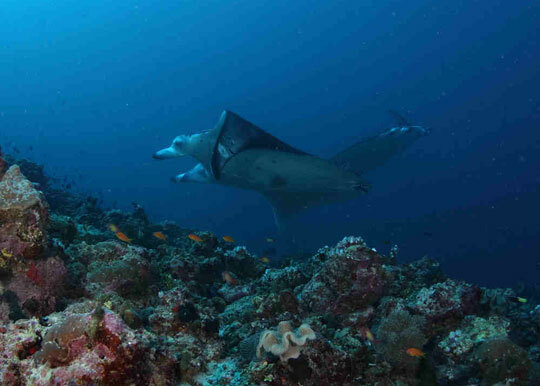 Hammerhead season at several of the premiere sites is said to be December to July (peak: February to July), whereas manta lovers might plan for October. Most other sharks have no defined season and might be spotted at any time during the year. You can expect good visibility, usually in the 20 to 35m range, all year round although some sites have lower general visibility. February to May enjoys best visibility. Water and air temperatures peak between June and September when you can expect sea temperatures of 31 to 33°C. December to March see the coolest water ranging between 24 and 27°C. There is considerably less wind in the Sudanese Red Sea than to the north and consequently the surface conditions are generally calmer, although November to February are known to be the months with the most unsettled surface conditions. Where is Sudan and How Do I Get There? Review our map below of Egypt, from where our Sudan liveaboards depart, and its location in the world. Here, you will find information on how to get to Sudan.